Nuts are a deliciously rich kitchen ingredient that you can enjoy year-round, in a multitude of ways. 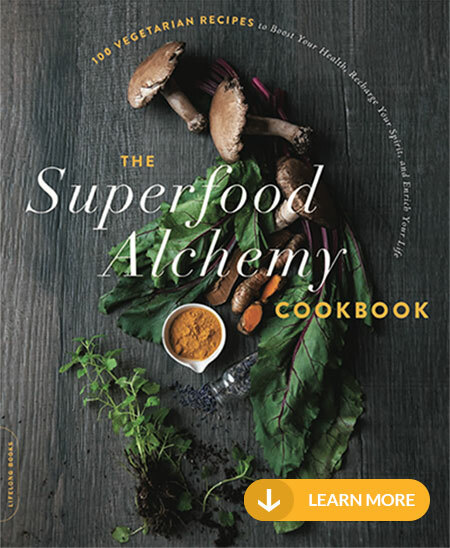 But to get the real skinny on nuts, let’s take a closer look into their nutrition and then explore the healthiest nuts, and the most unique ways to cook with them. Since nuts are high in the “good kind” of fat, they can be caloric so portion size is key — and a small amount of rich-tasting nuts goes a long way! Aim for a small handful with peanuts, walnuts, pistachio, and hazelnuts (10-12 nuts) or 3-4 Brazil or Macadamia nuts as a snack or use a few tablespoons of chopped nuts added into meals such as smoothies, salads, and to breading for chicken or fish fingers. Looking to calm hunger more efficiently? Nuts are natural hunger-busters, not only because of their fat content but also because of their protein and fiber content. All nuts contain fiber, which helps lower your cholesterol while anchoring your blood sugar. I freeze my salted cashews, giving them an amazing texture, somewhat similar to hard, frozen ice cream. Storing all nuts in the freezer or fridge is a good idea, since the oils they contain my go rancid quickly. Some foods like peanut (actually legumes) and almonds contain plant sterols, a substance that can help lower your cholesterol. Plant sterols are often added to products like margarine and orange juice for additional health benefits, but sterols occur naturally in nuts. Nuts are also a source of the amino acid l-arginine that could protect the health of your artery walls by making them more flexible and less prone to blood clots that can block blood flow. Peanuts are a mainstay in the American diet, and I consider them to be a wonderful “heritage” indigenous foods — like turkey and pumpkin. Most people love sweet peanut preparations, but I’m a huge fan of savory recipes: Healthy Kung Pao chicken, peanut satay dipping sauce, or this tasty, easy 7-minute salmon recipe. Macadamia nuts grow on expansive trees with thin branches and large glossy leaves. Hawaii and Australia are the two largest producers of this delectable nut that has the highest fat content among nuts, making them ideal for baking, coatings, and truffles — like in this raw green matcha truffle recipe. It’s not entirely clear why, but it’s thought that the “good” fats in nuts — both monounsaturated and polyunsaturated fats — lower bad cholesterol levels. 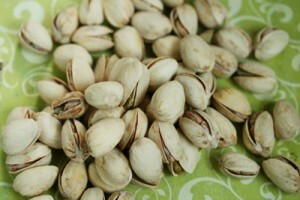 Many nuts are also rich in plant-based omega-3 fatty acids. Omega-3s are a healthy form of fatty acids that seem to help your heart by, among other things, reducing systemic inflammation that affects the health of blood vessels. Omega-3 fatty acids are also found in many kinds of fish but nuts are one of the best plant-based sources of omega-3 fatty acids. 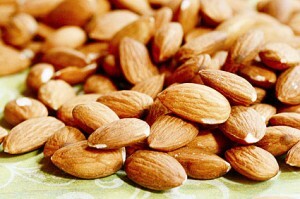 Almonds are touted as a superfood, when in fact all nuts are! High fiber almonds make for amazing snack foods, including this smoked almond butter with rosemary or tamari almonds. Almonds — like many nuts — date back to ancient times: The Romans showered newly-wed couples with them as a symbol of prosperity and fertility, similar to our tradition today of throwing rice. All nuts contain fiber which helps lower your cholesterol. Fiber also makes you feel full, so you eat less. Fiber is also thought to play a role in preventing diabetes. Nuts are also a good source of Vitamin E may help stop the development of plaques in your arteries, which can narrow them. Plaque development in your arteries can lead to coronary artery disease or a heart attack. Brazil nuts hail from the Amazonian forests, where many exotic superfoods can be found. They have a unique flavor, a bit of a sour tang, which makes them a great replacement for grated parmesan. I shave them with a microplane and add them to the bowl before I toss with kale to make my kale chips. You can also shave a few teaspoons over Italian pasta in place of grated Parmesan. If you’re looking to grow long flowing locks and have a glowing complexion, then Brazil nuts are tops on your list for hair and skin health. 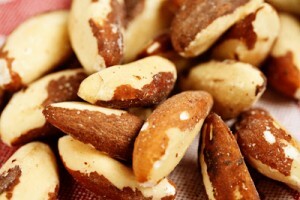 Brazil nuts contain a must-have nutrient for hair growth, selenium. 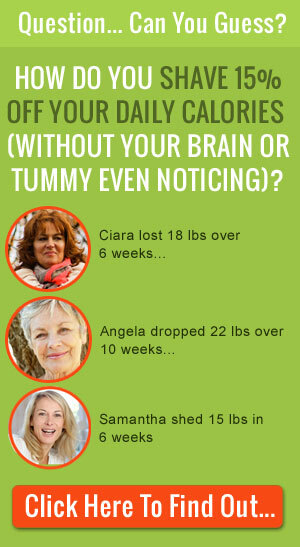 Getting enough nutrients, like selenium also effects how well we age. A hazelnut is the nut of the hazel and is also known as cobnut or filbert nut according to species. A cob is roughly spherical to oval, about 15–25 mm long and 10–15 mm in diameter, with an outer fibrous husk surrounding a smooth shell. Turkey and Italy are the biggest producers of hazelnuts, and both cultures use them often in traditional recipes, especially desserts. If you’ve ever been to Italy and strolled the streets with a “nocciola” (or hazelnut gelato) in hand, you’re already a fan of the nuts we call “filberts”. 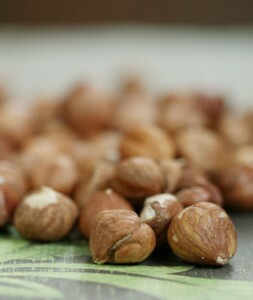 Before cooking or baking with hazelnuts, toast them in a 350 degree oven for 5 to 6 minutes, then transfer them to a dish towel. Gently rub them to remove their bitter, papery skins. 12 almonds or hazelnuts (approximately 80 calories), 6 Brazil nuts (137 calories) or 8 walnuts halves (90 calories) have been shown in studies to reduce myocardial infarction by 50%. The unsaturated fats they contain help lower LDL (bad) cholesterol and raise HDL (good) cholesterol — but because they are high in good fats, your brain gets the message of feeling full. 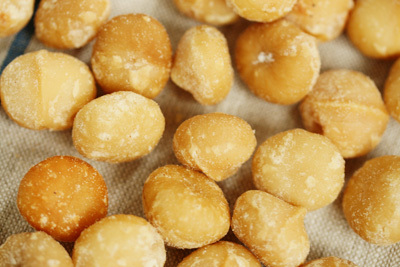 When enjoying nuts, keep portions small (8-12 nuts per day) since nuts are caloric. Pistachios, native to the Middle East, have an interesting history, the “official nosh” of the Queen of Sheba though the cultivation area of the pistachio expanded further to Europe and the US. Apparently, Iran is now the largest producer and there is a bit of a rivalry with the US when it comes to pistachio exports. Shelled pistachios make excellent nut coating for fish, and are gorgeous in this shamrock smoothie recipe with spinach and mango. Pistachios and dark chocolate are a sweet pair — add them to plain Greek yogurt with a drizzle of almond extract to make your own “canoli flavored” yogurt. Nuts are a top heart health food. According to the Mayo Clinic, “eating nuts reduces your risk of developing blood clots that can cause a fatal heart attack.” Nuts also improve the health of the lining of your arteries. The evidence for the heart-healthy benefits of nuts isn’t rock solid — the Food and Drug Administration only allows food companies to say evidence “suggests but does not prove” that eating nuts reduces heart disease risk. I grew up eating plenty of walnuts, especially in the form of Hungarian Nut Roll. Walnuts mixed with fragrant cinnamon is a quintessential childhood scent, but walnuts pair well with many other foods like pomegranate, pear, banana, and orange. They can also be used in place of costly pine nuts in this kale pesto recipe. Fats for weight loss? 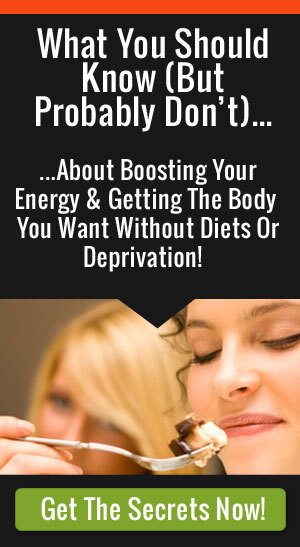 It might seem counterintuitive, but not getting enough good quality fats, like Omega 3’s, along with other vital nutrients in your diet can sabotage your weight loss efforts. Getting the right amount (between 30-50 grams/day) good quality fats can trigger “leptin”, the hormone that tells your brain that you’re full — so you eat less. But the key here is “good quality fats” (like mono- and polyunsaturated ones), since trans-fats and saturated fat (from non-grass-fed sources) can trigger inflammation in the body which can block weight loss. 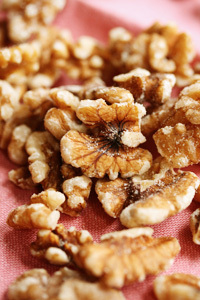 Walnuts, along with flaxseeds are one of the highest source of plant-based omega-3 fatty acids available. Cashews (also from Brazil) are my personal favorite among nuts — they grow at the end of a cashew apple on large, evergreen trees. These trees flourish in tropical or warm regions like Central America, Africa, and India, where they produce the largest crop in the world. If you’ve ever walked the streets in a large Indian city, you’ll see vendors offering a hot cup of chai with a side of cashews seasoned with chaat masala (a spice blend that has black salt, dried mango powder, and ginger to name just a few). If you’re partial to spice, you might enjoy this Indian fried rice. Looking for a little something sweet? 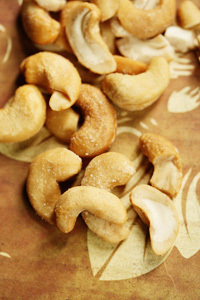 Try these mini cashew cookies. How Do You Cook With Nuts? Love to hear from you how you cook with nuts. 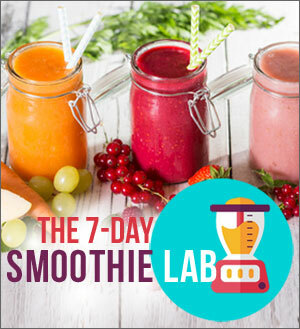 What recipes do you make? Have any interesting tricks to add them to dishes? Please share in the comments below!